Welcome Fall - Project: THRIVE! So much to report for the remainder of summer as we head into fall! We hope that some of these upcoming events will appeal to you and we will get to see you at the barn. The animals are waiting to meet you (the humans are too, of course) so read on and see what makes you smile! Do you love animals? To you want to spend more time with them and enjoy their sweet personalities while making a huge difference in their lives? Maybe you can’t have a pet cow or pig or goat, but you can always come and play with them here at Project: Thrive! Every Sunday from 9:00 am until 12:00 pm is Volunteer Day for everyone who wants to come and work with the animals. Does this sound like your kind of outing? Reach out to us HERE for more information and to sign up! 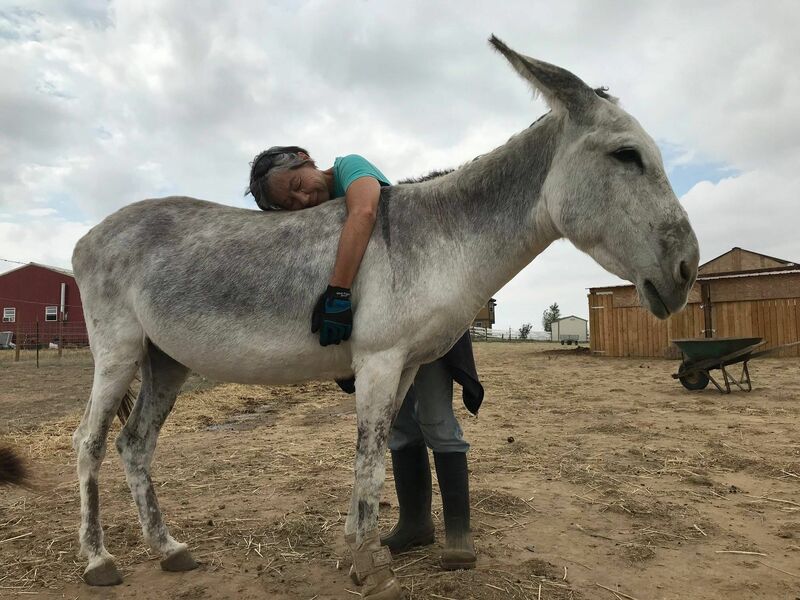 On Saturday, September 22 at 10:00 am we will begin working on building and securing the Enrichment Center for the barn animals here at Project: Thrive, 14755 Imboden Road, Hudson, CO 80642 (35 minutes N/E of Denver). We will put together the playground that will enrich their bodies, stimulate their minds, and inspire their imagination (because they really are big kids at heart)! We will have all of the materials, instructions, and refreshments we just need YOU to bring the extra muscle power to pull it all together and help secure it into the ground. It is shaping up to be a fun day all around and we would love for you to be a part of it. Please join us! There is something for EVERYONE to do. Please bring your electric drill, saw, or hammer if you have them to keep the construction flowing. We will work hard but play hard too! And the animals will thank you with many cuddles and kisses. We will also use our Volunteer Day on Sunday, September 23 from 9:00 am until 12:00 pm to complete the final touches on the center. T-shirts! Get your T-shirts! We will be debuting our original Project: Thrive T-shirts in a matter of days so stay tuned to see which one you just can’t live without! We will be launching our first 3 shirts, all with different sayings and artwork very soon! Then we will unveil two additional options each month following. Could this be any more FUN?! We don’t think so. Be advised though, it might be difficult to choose just one! We hope you get a kick out of them and your purchase will help our furry friends who were the inspiration for this fun apparel. All proceeds will go directly to helping Project: Thrive continue to thrive! Stay tuned to be the first to know when these goodies become available!! 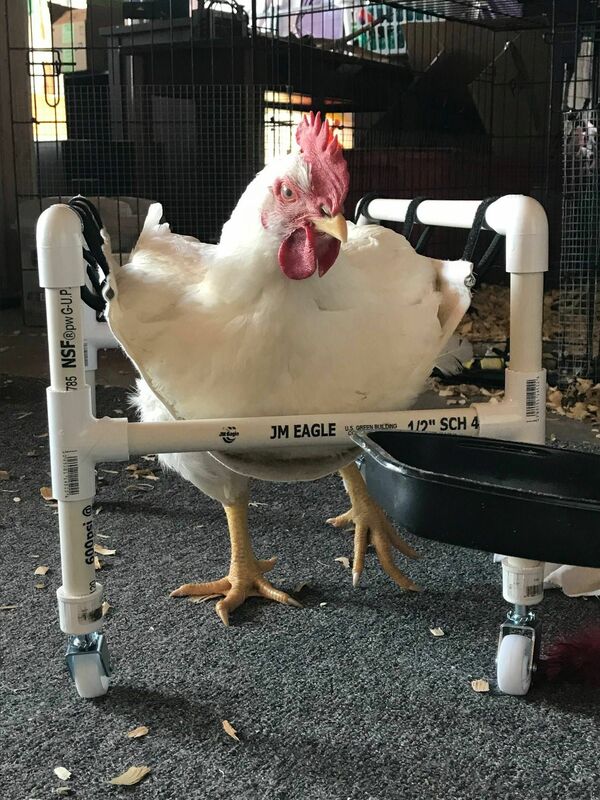 Some sad news to report from the barn but an uplifting story none the less as we say a sad farewell to our sweet chicken Jade. She was welcomed over the Rainbow Bridge and we sent her off with as much love and sunshine as we showed her while she was here with us. She was one of the chicks who came to us because she showed signs of physical challenges when she was a week or two old. She was a “broiler” chick so she had been bred to grow very big, very quickly. These chicks usually go to slaughter at just 6 weeks old. Because of their breeding, if they are given a chance at life, their size is often too much for their legs to carry them. Their heart has a tremendous strain on it and their breast is very heavy making it difficult for them to stand upright. 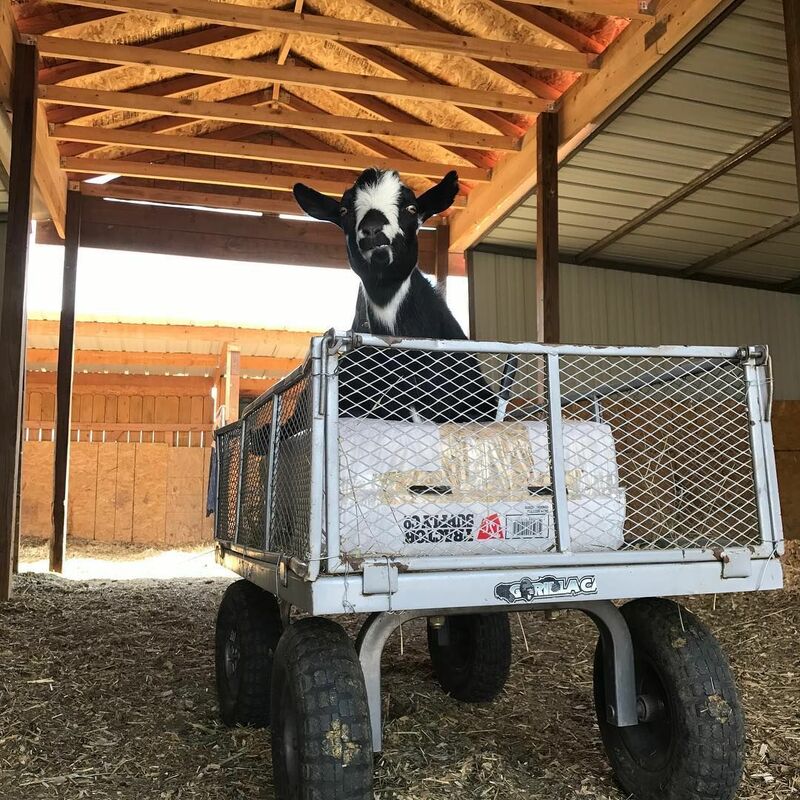 Jenn made Jade a set of wheels to help ease the strain on her body and she lived five beautiful months with us and seemed to be thriving. She was happy and had special accommodations to live pain free. Recently, after a day of moving about, getting sun and socializing with the other chickens and ducks, Jade went into her little house, sat on her egg and quietly passed over. We, her family, miss her deeply and we hope that her story will encourage the world to continue to grow more compassionate for all living beings. Following is a list of some wonderful upcoming events here at the barn, please join us for as many as you can! You will be welcomed with much love and light as you spend time with our sweet friends. To volunteer please reach out to us HERE. Sunday, September 9 from 11:00 am until 1:00 pm: Second Sunday Reading to the Animals. Sunday, October 14 from 11:00 am until 1:00 pm: Second Sunday Reading to the Animals. Saturday, October 20: School Festival for Families. Kids of all ages will be invited to come out for a day of fun, food, and activities. More details to follow! Mark your calendar now! Saturday, November 3: Kickball Tourney! Get your team ready and details will be coming shortly. Sunday November 11 from 11:00 am until 1:00 pm: Second Sunday Reading to the Animals. Wishing you all a joyful remainder to your summer and we thank you so much for your continued support and compassion!